Thanks for posting your comment on this thread. I’m myself very impressed with Michel’s work, it’s great stuff. I checked this thread. The attachment of wooden furniture which is used here is very nice. I think this furniture is made of romania white wood. Because i have some same furniture and that is made of this wood. I like the wood quality it is very nice. 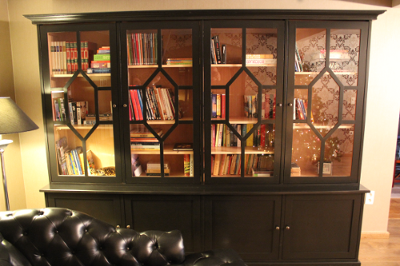 Thanks for posting these photos the bookcase looks lovely, great job! If you’d agree, I would l love to write an article on this and show people an example of projects we can build with Polyboard. If this is OK with you could you write us a short text about how it all went for you and send us a few photos in higher resolution? For your stair cladding drawings can you start a new thread in the stair section and send me the drawings, I’ll process them through the stair cladding version of StairDesigner to draw your parts. I’m looking forwards to seeing your new TV unit too. Here’s wishing you all the best and hoping that you’ll have lots of success in 2015. My main job is stairbuilding and sometimes I get such demands which I gladly take as this is changing from my routines . I got a demand for a modern cabinet to hang on the wall to present flat screen television. As soon as I have more details I will let you know. Thanks for letting me know what you’re planning. Nice to work on some different projects from the normal as you say. Sounds like the TV cabinet should work well with Polyboard. Great job! Love the design of the glass dividers/grilles too…very stylish. Thanks for posting the pics. Are you working on anything else with Polyboard at the moment or got any future plans? That’s great news, Michel! Looking forward to seeing the finished piece. the cabinet is done and already installed at the customer . It looks great . 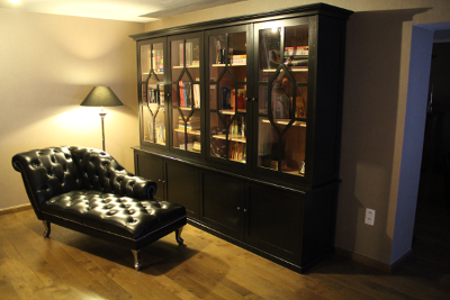 It is black painted and the beech is varnished on the inside . I will add some pictures on Monday as I have to go back there. If I was you I would not groove the panels into the 25mm beech. I would just glue and eventually use biscuits or dowels. Not sure what you mean by not having the measurements of the parts, in general Polyboard will give all the finished sizes correctly. Maybe the problem is that the file I sent is only a template and should have been revised and adjusted to meet your needs. If set up correctly Polyboard will give all the final parts with the correct sizes. 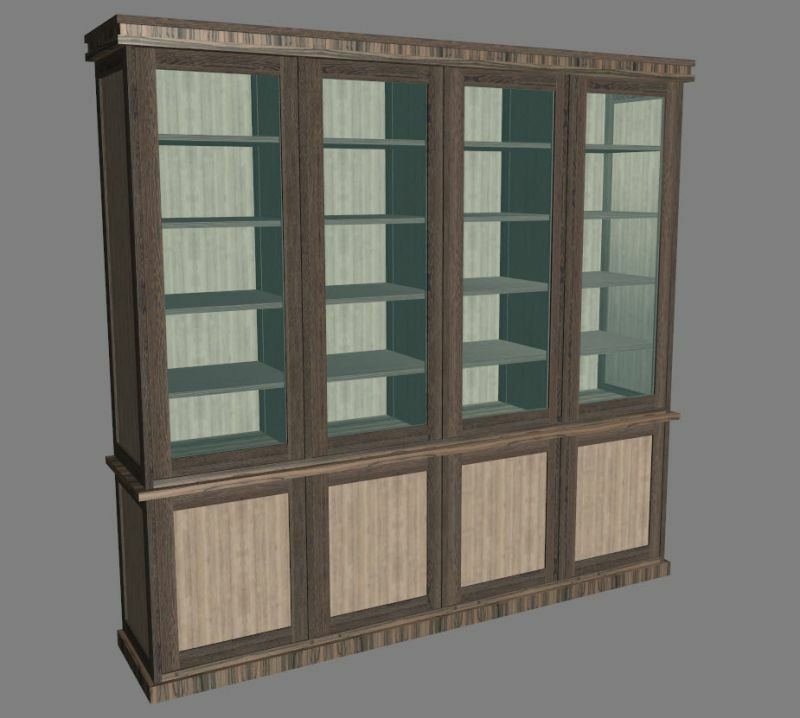 You might need to buy a complete CabinetFile Pro service that enables me to spend more time on your project and really tweak it to your specific needs. Most of the parts are made . My question here is about the vertical divisions . You used 19mm plate and the beech pieces are 25mm . According to what I can see these also needs to be grooved in 12 mm but this leaves you with a delicate side of 3 mm and 12mm deep ?? What is your oppinion or do I see this wrong ? I am not used to work with this program yet but it would be easier if the measure of each complete part was mentioned. The sheets that I have needs to be calculated to find the final measure . Nice to see you back on the forum with you project moving forwards. I attach the new model that I’ve cleaned up a bit to make it workable. I’ve rebated the back into the sides, top and bottom, like this the back can be pinned or screwed into the carcase. You can change to grooved and it can also be cut into several parts to be more manageable. The door /side panels are grooved 12mm into the frames and I’ve set the upper glass flush to the front of the frames so that they can be set into a rebate and held with beading. Of course the actual depth of the rebate and beading will depend on the thickness of the glass. I’ve also created a different rule to set the shelf pegs in the solid wood surrounds of the uprights. Note that the Blum hinge holes in the upright will need packing out to accommodate the difference in thickness of the solid wood and panels. Hope this is all ok for you . there was some delay on this project . Measurements were not sure and now they are . Can you send me a updated list for a width of 2800 . The base cab depth should be 550 . The upper cab depth is 450 . The rest remain the same . I only saw some strange cuts like the back. The cuted panel falls just between the left and right panel and also the bottom and top panel . It means that there is no possible connection between the side panels and the back panel . I tought there would be some connection trough a groove in the side panels so that the back will fit into it and make the whole cab steadier as a whole piece . Also i do not find the depth of the groove for the panels to be fitted in the doors , side panels and vertical divisions . The mobile shelves are also not so clear how they are positioned . When I looked at the panel drilling there are holes to be drille 2mm from the side of that panel ?? Wit a diameter of 5 mm . Strange because that same panel enters a groove form the beach frame. So I do not realy understand this. Can you reply asap as I have to start this from tomorrow already ? Thank you Mark for your comments and helpful remarks, I see that you are getting to be a real expert in Polyboard. You are perfectly right, I actually started with 80×25 bars and then decided that the design looked better with 60mm and didn’t change the name. All the lengths are with 30mm tenons. Polyboard will out put the framed panels OK so playing around with panel assembly can do some neat designs. thanks a lot . I wil have to look at it more closely and return with comments if needed . One thing I see is the cutting list for (bar) beech . It is mentioned 80*25 and 60*25 but there is no indication in the list which are 80 and which are 60 . I also presume that the measurements and netto and that i have to add tenoning length. Crafty way of doing the plinth…. Took me a minute to work out the process, but perfect way of getting mitres on the edges. Particularly like the assembly on the top panel of the Cornice. food for thought. Here’s a template for your cabinet. I have set this up to show the general principles for making framed panels. You will have to tweak the different elements according to your needs. 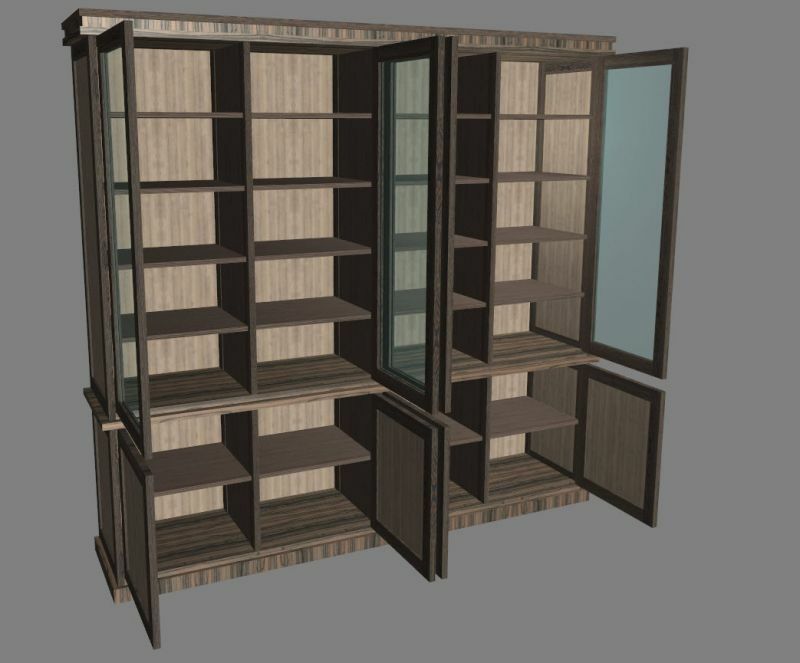 You’ll find in the zipped file the PolyBoard project “book case” that contains the for cabinets, base cab, upper cab, plinth and cornish assemble together in a project. I have put together also the manufacturing output for the project. Of course the materials and manufacturing methods that I set up are only examples and you will have to modify them according to your needs. Note that things like the upper moulding and plinths can only be simulated with rectangular sections. For more precise detailing you will have to export the PolyBoard model into some CAD software like SketchUp. But setting up model in PolyBoard enables one to play around with different designs and of course get all manufacturing documents automatically. If you need help tweaking send me details of what you would like, and I’ll see what I can do.